No matter what shape your yard is in, Sharpe Landscaping & Construction can help bring it to life. You can count on us to provide top quality trees, flowers, and shrubs. Our professional contractors can design your yard into a great liveable space. You’ll find a whole new area to entertain friends and family with the installation of patios, ponds, and gardens. Our rates are affordable and FREE ESTIMATES are available. See more about our services. Get a Free Estimate from Sharpe Landscaping & Construction! 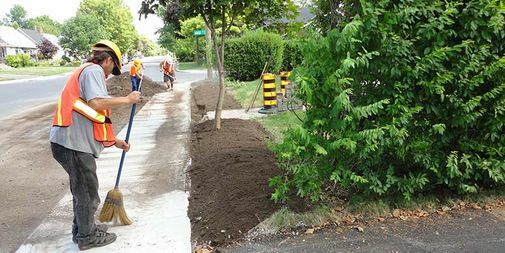 We provide professional grounds work year round to customers in communities throughout eastern Ontario, including 24/7 winter services, such as snow ploughing and salt application.